This right here is yet another example of why you should not poo-poo generic wing sauces. I absolutely love all of the Meijer wing sauces. Meijer’s Medium Buffalo wing sauce is lightly spicy, has that great Buffalo wing flavor, and has the perfect consistency. And consistency is important. Too many less-expensive sauces are watery. You end up with 10 times as much sauce on your plate as you do on your wings. That’s not why you made wings. You want them covered in sauce, not swimming in sauce soup. Here in Indy at least, Meijer’s wing sauces are all under $3 for a 12 ounce bottle. That’s a really good price, and I often find them on sale for $2.80 or even less. That’s back-up-the-truck and load-up-on-wing sauce time for me. You can’t beat the price or the flavor, be it the Meijer medium Buffalo wing sauce or any other flavor. And they’re all-natural too boot! Also check out Meijer’s Sweet Chili and Mango Habanero wing sauces. They’re darned good too! 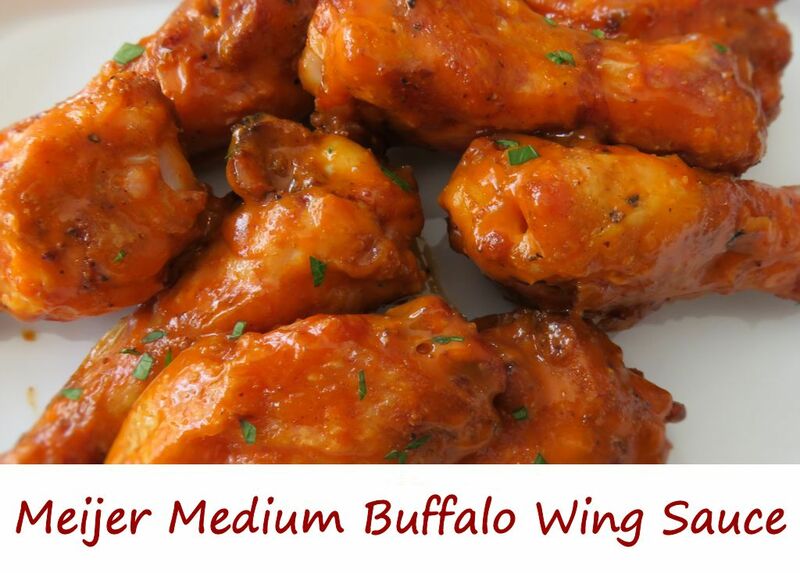 All of them are great in my slow cooker Buffalo Ranch wings!